Take your outdoor entertaining up a notch with the Turbo Elite 3 burner Barbeque. 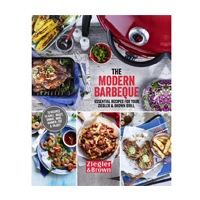 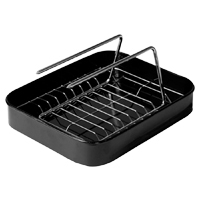 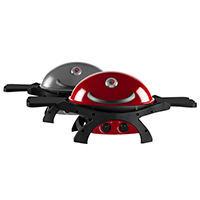 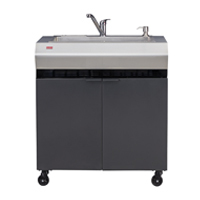 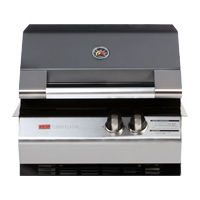 Including a powerful side burner, create soups, quick stir-fries and creamy sauces alongside your barbeque dishes. 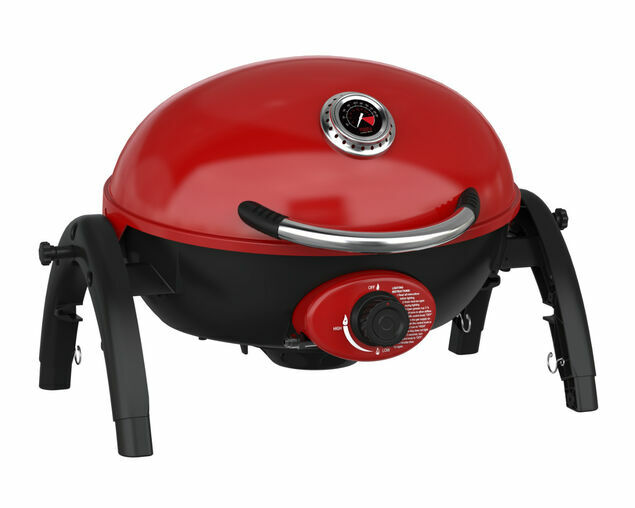 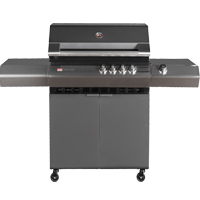 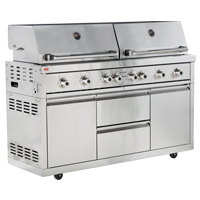 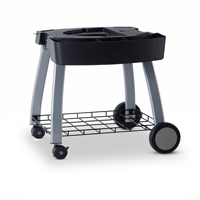 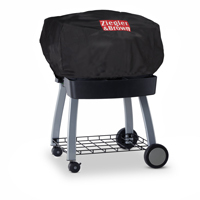 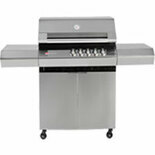 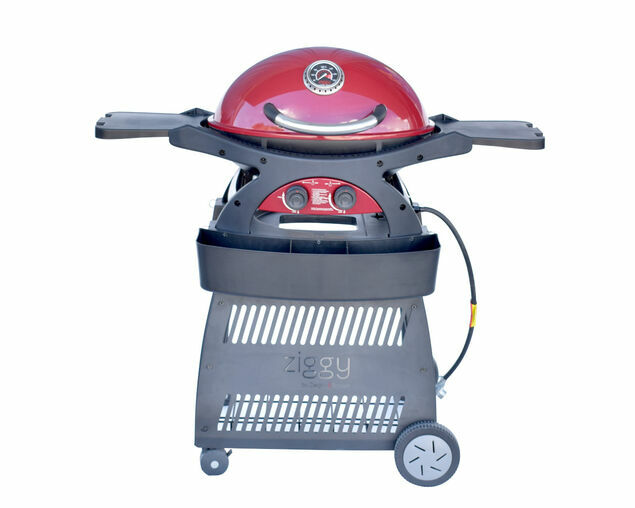 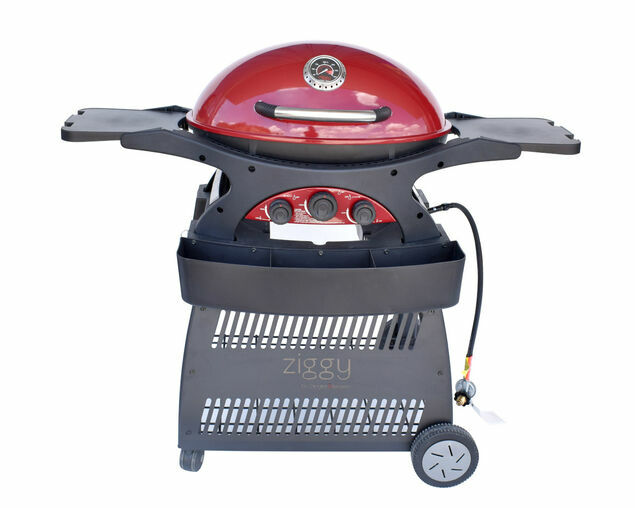 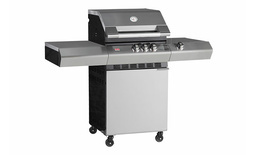 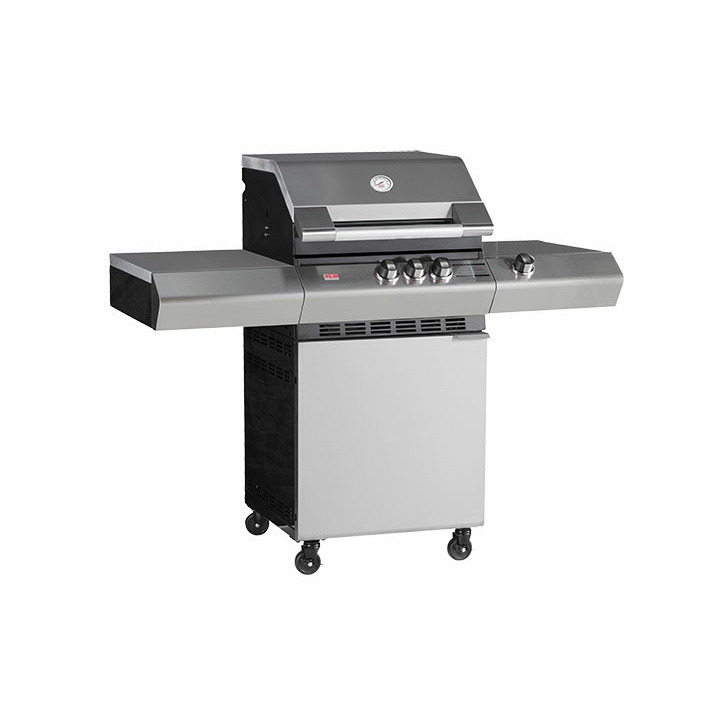 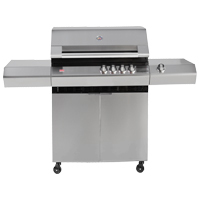 With more power and even heat distribution, this 3 burner BBQ ensures no cold spots on the grill - ever! 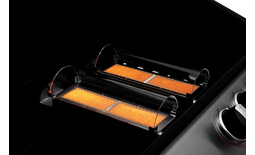 Featuring three award winning Radiant Quartz Technology (RQT) burners, the secret to the Turbo’s superior results lies in the revolutionary technology. 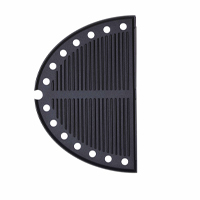 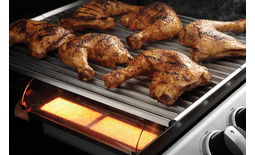 The RQT process delivers radiant heat directly under the food which avoids the drying out flare ups of traditional heating methods to deliver deliciously moist meat every time. 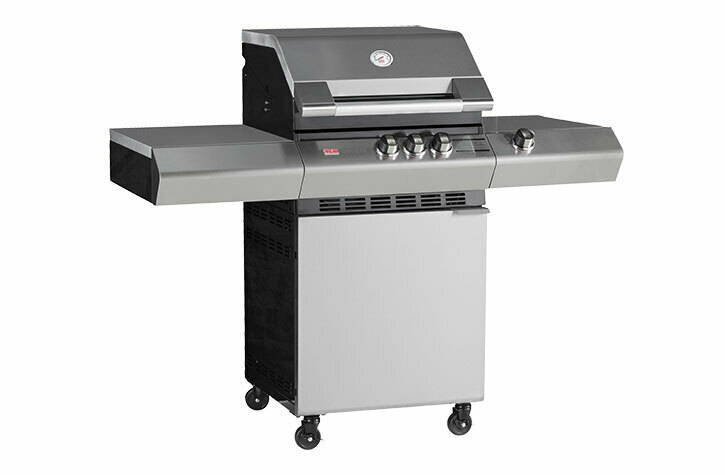 The Turbo Elite 3 Burner BBQ comes complete with a 10 year warranty and the sturdy cart has internal cylinder storage, double skin cupboard hinged door and super strong shelves.